Recently hackers have gained access to the names, addresses and Social Security numbers of over 143 million people stored on the credit reporting firm Equifax’s data base. With this information hackers can open accounts in your name, ruin your credit score and create a nightmare of headaches for you as you try to explain you really do not own the high end car a creditor thinks you bought. Credit Freeze – Tool For Protecting Your Credit. 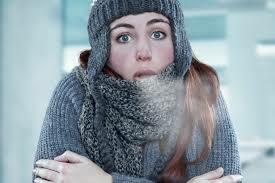 To be safe you might consider a “credit freeze.” Also known as a security freeze. This tool lets you restrict access to your credit report and makes it more difficult for identity thieves to open new accounts in your name. That’s because most creditors need to see your report before they approve a new account. If they can’t see your file, they may not extend the credit. A credit freeze does not affect your credit score. Neither does it prevent you from getting your free annual credit report, keep you from opening a new account, applying for a job, renting an apartment, or buying insurance. But, if you’re doing any of these, you’ll need to lift the freeze temporarily. Even with a credit freeze in place a person should monitor all bank, credit card and insurance statements for possible fraudulent transactions. You’ll need to supply your name, address, date of birth, Social Security number and other personal information. Fees may vary based on where you live. They commonly range from $5 to $10. It is reported reaching Equifax at this time is difficult. But, keep trying. Equifax has waived it’s customary fee until November 21, 2017. After receiving your freeze request, each company will send you a confirmation letter containing a unique PIN (personal identification number) or password. Keep the PIN or password in a safe place. You will need it if you choose to lift the freeze. In a few states, freezes expire after seven years. In the vast majority of states, a freeze remains in place until you ask the credit reporting company to temporarily lift it or remove it altogether. A credit reporting company must lift a freeze no later than three business days after getting your request. The cost to lift a freeze varies by state. If you opt for a temporary lift you can save some money by lifting the freeze only at that particular company. Initial Fraud Alert. If you’re concerned about identity theft, but haven’t yet become a victim, this fraud alert will protect your credit from unverified access for at least 90 days. You may want to place a fraud alert on your file if your wallet, Social Security card, or other personal, financial or account information are lost or stolen. Active Duty Military Alert. For those in the military who want to protect their credit while deployed, this fraud alert lasts for one year. To place a fraud alert on your credit reports, contact one of the nationwide credit reporting companies. A fraud alert is free. The company you call must tell the other credit reporting companies; they, in turn, will place an alert on their versions of your report. This post is not meant to be a substitute for specific legal advice given by a competent attorney who has become familiar with your particular situation. It is meant to provide you with general advice on options available for protecting your credit. To schedule an appointment or for further information, please call us at 508-222-0700 or email TKobanEsq@kobanlaw.com. Copyright 2019. The Law Offices of Theodore Koban. All Rights Reserved.